Games in the genre of ”escape room” are a kind of puzzles. Of course, now popular quests in real time is much more exciting; but, nevertheless, games with similar elements can also be a pleasant pastime. If suddenly someone does not know – in such games you are placed in a room or in a situation from which you need to find a way out. You, certainly, have already had to deal with such mechanics, just some developers use it as part of a more complex gaming experience, and some of them focus on it. Some games are easy, and some have complex storylines. 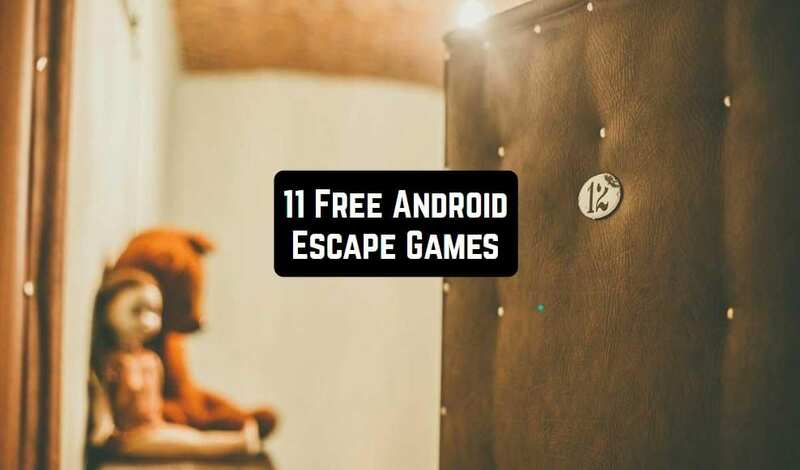 In general, this genre of games is represented by a very wide range of examples, and below you will find a selection of the best Free Android Escape Games. The oppressive atmosphere of confined space. Many ingenious puzzles. Atmospheric soundtrack and eerie atmosphere. And most importantly – a strong desire to get out into the wild. If you like this plot, feel free to download Spotlight: Room Escape to your gadget and start searching for an exit. 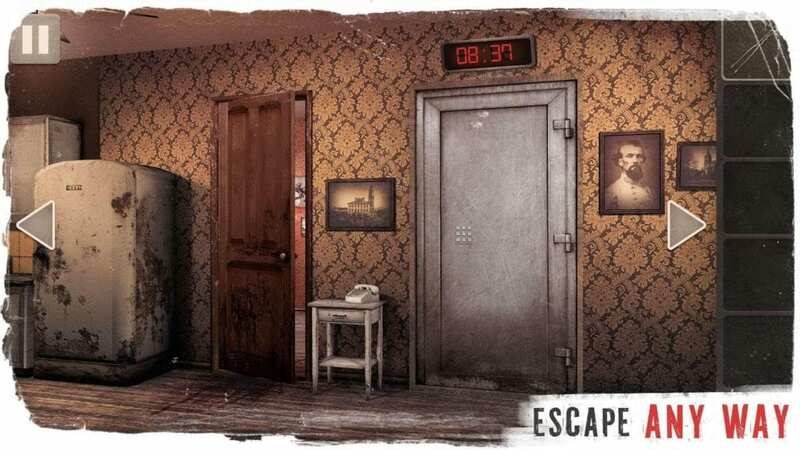 Spotlight: Room Escape – a classic quest in the style of “find a way out.” The main character wakes up in a creepy locked room. Why he was kidnapped and brought here – is unknown. It also remains a mystery how to get out of a locked room in a short time; the timer inexorably counts the minutes, regardless of your panic. To find the answers and get out of this terrible place you have to solve many puzzles and riddles. Somewhere they will be quite simple – for example, pick up the necessary piece of the door and insert it into place, and somewhere – incredibly complex, requiring maximum concentration and logical thinking. Endless hiding places, traps, intricacies of corridors – everything in this mansion is aimed at preventing you from moving forward a single step. You should not count on tips in the passage – they are not here. The lack of prompts and a continuous countdown will keep you in constant tension, forcing you to invent the most unusual ways of solving problems and overcoming obstacles. The confusing detective story of the protagonist, preserving the intrigue until the moment of denouement. Amazing detail. All details are traced with maximum clarity, and the interiors of the rooms are carefully thought out. The eerie atmosphere of a dilapidated and abandoned mansion, forcing shudder from every rustle. The atmospheric soundtrack, completely immersing you in the gameplay. Limited time. The interim report not only adds adrenaline but also makes the brain widen more actively. A lot of various tasks: from simple puzzles to verbal or numerical puzzles. The complete lack of advertising, donation and in-game purchases. Availability of the Russified version and free distribution. 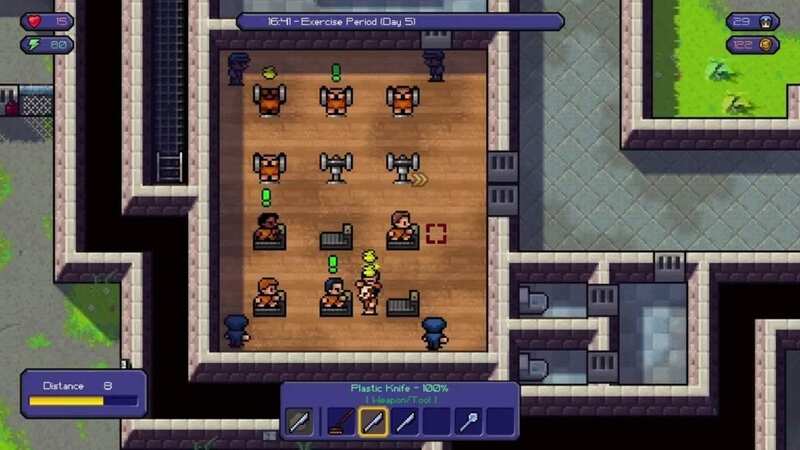 The Escapists is an action adventure that helps to check the strength of the character of each participant because this game offers to plunge into the dangerous criminal world. The prison life, part of which is the hero of the game, seems unbearable to him, so the thought of escaping soon turns into a well-thought-out plan. A gamer (who installed a dynamic pixel action on his mobile device) will be involved in its implementation. He will have to plunge into the perilous atmosphere of virtual entertainment, which is ideal for gambling recreation and adrenaline rush. 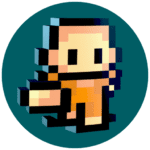 The Escapists involves the passage of many levels, each of which requires courage, dexterity, intelligence, care, and attentiveness. The gamer must navigate through the prison corridors and nearby territory, trying to avoid collisions with the guards, and also look for keys that open the doors. The game has a variety of items needed for escape, and bonuses to successfully cope with the tasks. The game will be an extreme adventure for all who in everyday life have to be prudent and law-abiding, following the rules and observing someone’s invented norms. The colorful game will help to satisfy the desire to go into the lead, showing ingenuity, audacity, love of adventures. Everything is open in it, so it will still be possible to escape from a carefully guarded building, although this will have to make serious efforts. However, it is precisely this complexity that contributes to the inflaming passions in a virtual history designed for courageous and enterprising participants. 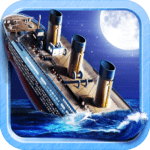 Escape The Titanic is an Android game in which you will be taken to the world’s most famous liner. Where you have to solve all the puzzles faster than Titanic will sink and leave it. This application has a fascinating storyline, beautiful graphics drawing, as well as a huge number of different interesting tasks. In the game, you need to show all your ingenuity and logical thinking in order to survive. There are no ready solutions in it, so you can only rely on yourself. The Escape Titanic app is very popular among different age categories. Many fell in love with it for the unpredictable plot and the opportunity to express themselves. The application is fundamentally different from other similar applications since it does not have similar scenes. The logical connection between the scenes can be modeled only by the player. To get on the ship, the hero must first find his ticket in a pile of their belongings. This procedure will help to implement a virtual assistant at the training stage of the game. The whole game is divided into 50 locations, in each of which you have to solve one of the ingenious puzzles proposed by the developers. For example, in some situations, you will need to figure out how to overcome this or that obstacle, in others, when you get out of the third class, try to merge with the crowd of noble people, until you get in the lifeboat. 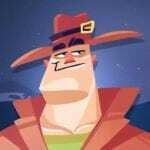 An adventure game for Android, filled with logic puzzles, great graphics, and mind-boggling riddles. The plot begins with the fact that your hero woke up in a bunker, he did not know how he came to be here and how to leave the bunker. On the radio the hero hears a familiar voice, it was his sister, who said that you are locked in a bunker for their own safety. Fearing for the life of the sister, you begin to take all necessary measures to leave the bunker. At the same time, you will find out the details about this place, because the main character practically does not remember how he got here. Otherwise, this is a classic adventure game with all the classic attributes of the genre, like puzzles and inventory. Explore all the rooms and rooms of the bunker and find the keys and items you need. 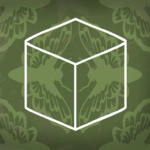 Solve puzzles and use tips. 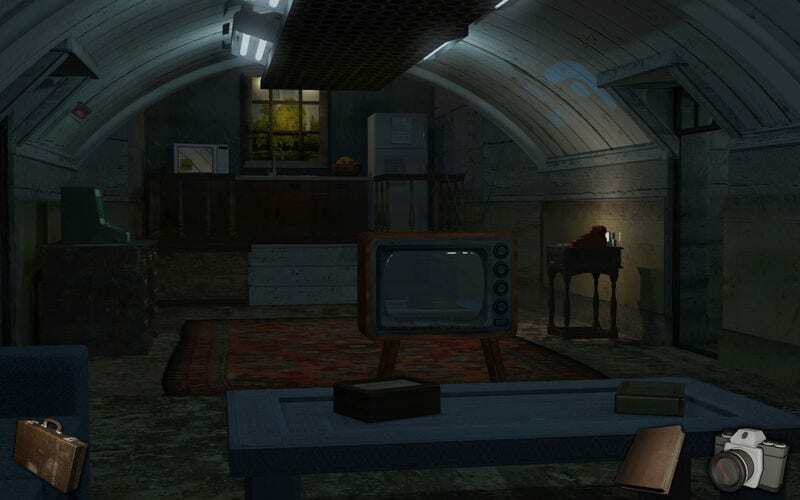 The tasks in the game turned out to be very interesting, and thanks to a very realistic atmosphere and full three-dimensional graphics, you will quickly immerse yourself in the gameplay and feel yourself in the place of the hero who was locked in a mysterious bunker. Despite the fact that this is not a horror at all, the bunker still seems to be an extremely uncomfortable place; the atmosphere looks like you’re about to be attacked by some creature from the void and bite your head off. All That Remains: Part 1 is a game in which unforgettable adventures await you. You will have to experience fear and mystery. You will need calm and prudence to unravel a tangle of mysteries. Cube Escape Paradox is a very interesting puzzle game with a cool dynamic plot and many incredible puzzles. Feel like a real detective. 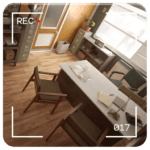 You will play for the famous detective Dale Vanderman who wakes up in the morning in an unfamiliar room, completely not remembering what happened to him, who he is and where he is. Then he realizes that he has become part of the game built by his main enemy. Dale, along with the whole game, reveals a variety of secrets and solves puzzles. The complexity of riddles and trials will grow more and more each time, but you must not lose heart in order to get out as quickly as possible. Here, the gaming world is a great overlap with the world of cinema, which will make your task even more exciting. The outcome of events will directly depend on your choice, so try not to make mistakes. The plot of the game is very interesting and energetic. You never get bored. The plot of the game is associated with films about detective Dale, and also has two chapters. The game has amazing beautiful graphics created by hand. The app is absolutely free and does not require access to the Internet. The simple and nice interface makes the game unforgettable. Atmospheric music skillfully injects an atmosphere of mystery. Interaction and change of the plot depending on your choice is amazing. The game does not take up much space in the memory of your phone and will not slow it down. Cool graphics and incredible visual effects. World’s hardest escape game – find a way out of a variety of different rooms and spaces. 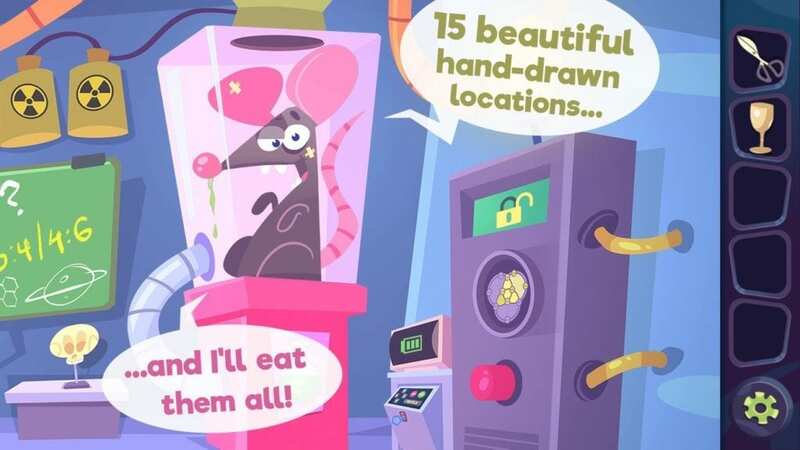 Look for hidden objects, solve various logical tasks. 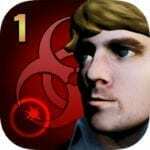 Develop your logic and attentiveness in this game for Android. 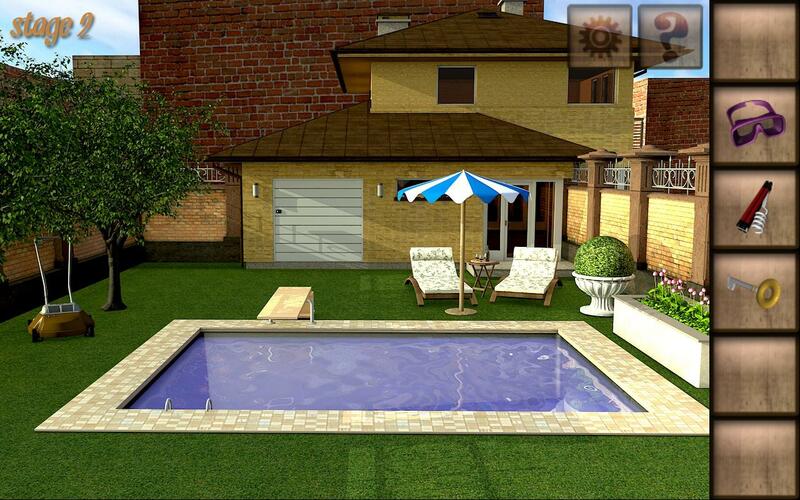 You have to explore various locations, such as the backyard of the house, garage, rooms of the house, shop, etc. You must find various items that will help you find a way out of each of the levels. In addition, to open the doors you have to solve logic puzzles and solve riddles. Throughout this interesting game, you will overcome many interesting missions on your way, as well as master various quests, the execution of which will take you an impressive amount of time. You just need to remember that no one can come to your aid, and you will need only your own abilities and skills to overcome all the obstacles in the game universe. Only through the right actions, you can reach the final. 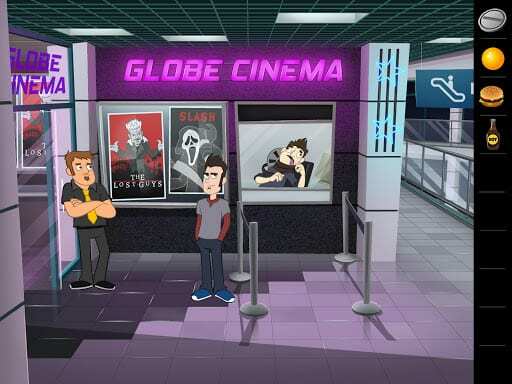 You are faced with a very difficult task since a terrible person is terrorizing all visitors, as well as the workers of one cool shopping center. You will help the professional detective Johnny Passadino, who will deal with the most basic matters. It will be quite a dangerous investigation in which you can get a bullet in the forehead. You have to inspect the crime scene, talk to witnesses and find all the possible evidence. Only in the best case, you can move forward; but if something goes wrong, then you just can not avoid problems. Your main character must pass along the most dangerous path since danger lurks in a shopping center are in any corner. Try to unravel all the most difficult tasks, collect a lot of clues and follow the trail of this terrible crime. Challenge yourself to a rather exciting plot, look at interesting characters and solve the most intricate puzzles. Look for all the hidden items, although it will not be quite easy, we are sure you will definitely handle this complex investigation. You have all the hope, so you have to try and do everything right. Guide the hero through a deadly shopping center, where danger may lie in every corner. Unravel complex logical tasks, collect clues and follow the trail of a mysterious killer. You will find a large number of newly-made temples-locations, from which you need to find a way out. A solution can be found only if you fully explore the temples. Research does not seem boring. After all, the developers have prepared for you a lot of puzzles. One of the most popular Escape games has been continued. It’s time to get acquainted and turn on your intelligence to the maximum level! The beginning of the story was that our character went on a long journey in search of his father. He managed to unravel a huge tangle of secrets and mysteries, to go through numerous portals. 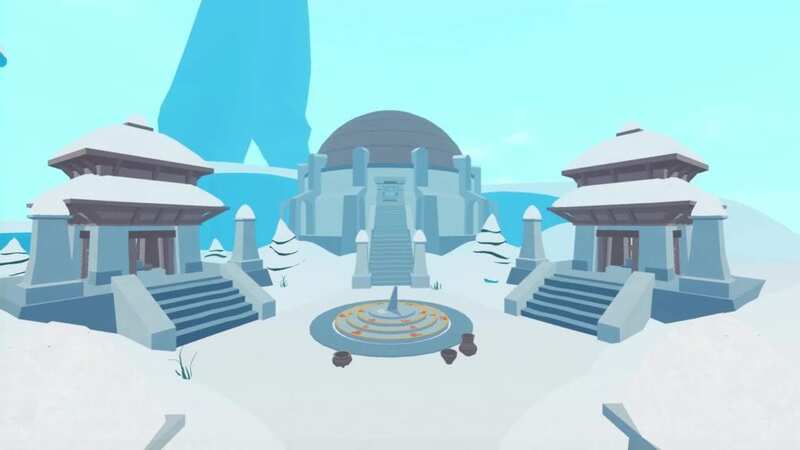 The next portal sent the character to a cold continent with a large number of mysterious temples. It seems that you are already very close to the truth about your father. After all, you have a large number of records found associated with it. But it is too early to be content with the result of wandering! Carefully follow the details in everything around you. Do not forget to collect items and use mechanisms, simultaneously solving puzzles. Only in this way, you will find a way out of the many mazes. In total, we will visit 18 temples. Before us is a realistic 3D world that impresses with its scale and detail. A lot of “gizmos” are waiting for you – at once you won’t understand exactly how they work. But by action, you will understand them. A pleasant, but at the same time concentrated attention soundtrack, elementary control, a lot of unique secrets – it all draws into the game for many hours! Completely free you can go through nine full levels. After you decide whether you are so hooked continuation of the cult game that you are ready to buy it for further study of locations and solving mysteries. 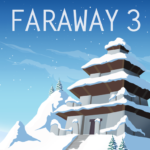 Meet the world of Faraway, if you only learn about the story of our character. Or continue the story of a hero who is ready to do anything to find a father! 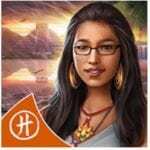 Find a way out of the ancient city to stop a powerful hurricane and save the world. A team of archaeologists crash on an airplane in the lost jungle, not far from the place where the ruins of the accursed city are located. Having carefully examined the territory, they discover a centuries-old mystery that threatens to destroy the whole world. Whether our heroes will be able to survive the night, what will happen when science and magic come together, what the team will sacrifice in order to survive; you must find the answers yourself to these questions. Explore this mystical place, solve clever puzzles that check how smart you are, collect items to use them in the future, meet more than 15 charismatic characters, beware of wild animals in the jungle and much more. You will find amazing graphics that perfectly conveys the beauty and danger of the life of an ancient civilization. 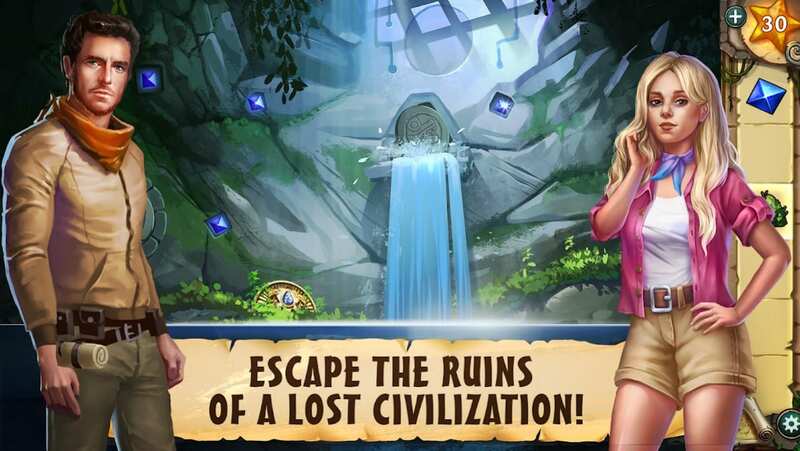 Explore the jungle, avoid the ruins and reveal hidden secrets. For you prepared many secrets and riddles with the search for objects. Solve interesting puzzles and save the world from the impending hurricane! Escape Legacy is a great representative of the “escape from the room” genre with console graphics and VR mode. Here you find yourself in the role of a girl named Eric, who, being an archeologist, follows his grandfather’s adventurous attempts to find treasure. Key goal: the search for ancient manuscripts that contain secret knowledge and secrets. Explore one room after another trying to get out of them, solve puzzles of different degrees of difficulty, find items before the time comes to an end and compete with players from different countries. Escape Legacy offers amazing graphics, three modes: normal, virtual reality, and Android TV, random puzzles and things in each game session, over 10 hours of gameplay, excellent music and audio effects, as well as compatibility with all Bluetooth controllers. Also of the features worth noting is that the solution of puzzles randomly generated at each level load, as well as a visible three-dimensional model of the heroine and her various animated movements. The game also supports higher levels of difficulty, where your passage time is noticeably limited, but you get a bonus in the form of an increased score multiplier. The high-quality quest for Android with stunningly beautiful hand-drawn graphics in which you will become a cartoon detective and find the mysteriously missing mini-drone. You will play for a certain guy who decided to try himself as a detective, his first task was to search for a mini-drone, which the strange scientist had lost. Our hero has already conducted a small detective investigation and found a drone on the roof of one fancy building where even more bizarre residents live. Now you need to solve the mystery of this missing flying object, find out how he got to this house and solve some of the secrets that the tenants hide. 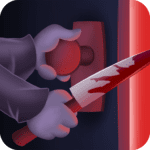 The Puzzle Stranger Cases: A Mystery Escape on Android will delight its players with a great storyline with great humor, dozens of interesting puzzles and puzzles that you will solve over fifteen colorful levels. Collect tips and different items, interact with wonderful characters, have fun and smile, because the game is really just awesome and relaxing. The graphic component of the application is presented in a painted stele, which creates a certain atmosphere. Everything is drawn by hand, and this is what gives some of its features to this product. Gameplay is to find different solutions to problems. Be very careful and try to pass all the tests that the developers have prepared for you. Do your best to rise and pick up the drone, finding the most non-standard solutions to all problems. Perhaps your favorite games in the “escape” genre were not included in the selection… Then share them in the comments!